Providing guidance over the university’s assets while fulfilling financial recording and reporting requirements. 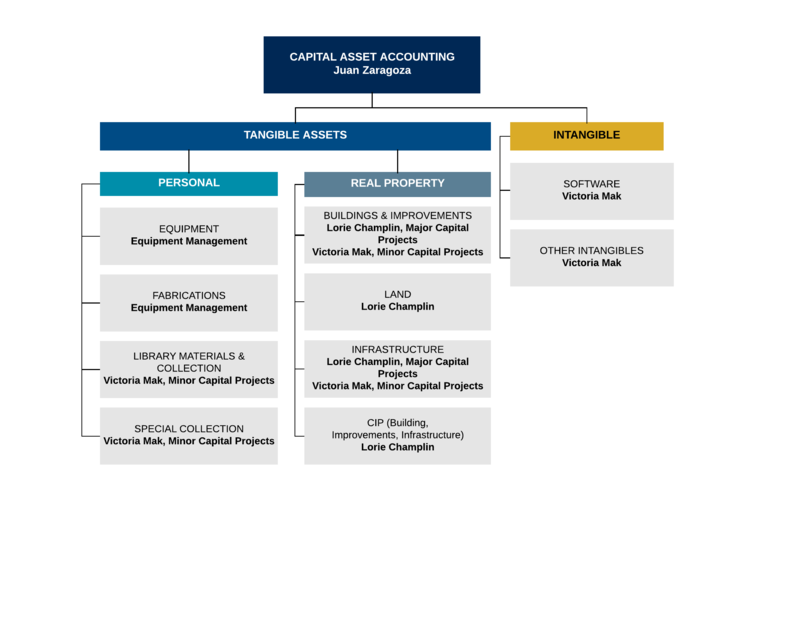 Capital Asset Accounting (CAA) is responsible for managing and ensuring proper financial treatment and reporting of tangible and intangible capital assets of the Davis campus, Medical Center (UCDMC), and Agricultural Natural Resources (ANR). The accounting functions are performed in accordance with GAAP, GASB, and university policy and procedures. Monitor, audit, and report progress of all capital projects throughout the lifecycle. Monitor actual capital expenditures incurred for each externally-financed project and helping to submit monthly cash draw requests to the UCOP Treasurer’s Office. Coordinates the interim financing arrangements with the UCOP and Treasurer’s office so that funds are available at the onset of the project. Manage leases activity throughout the year. Assist with maintenance of accounts, funds, projects, CAAN numbers, fiscal officers and delegates. Prepare, analyze, and interpret data to properly value and classify capital assets. Review and analyze data required to support monthly, quarterly, and annual financial reports. Establish and activate capital projects, funds, and CAAN numbers. Complete project analysis including monthly expenditure and budget reviews. Audits, General Management, and Customer Service. For more information, visit our staff directory.